Enter our contest to win a FREE lunch (and cupcakes because we believe cupcakes are still relevant. RIP Crumbs). Have you ever felt personally victimized by your #SadDeskLunch? 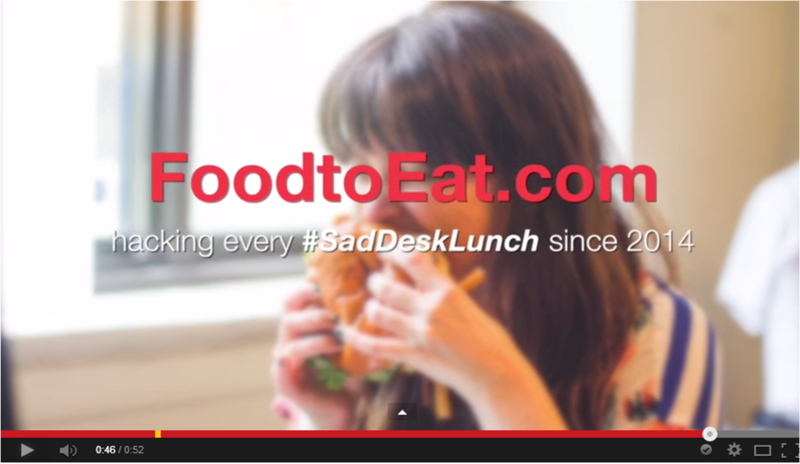 Well, we know the feeling so we hacked one of our favorite blogs, Sad Desk Lunch. Watch the video here featuring Kira, the creator of the awesome blog. We’ve teamed up with SDL to hack your lunch too! (4) Tweeting your pics @foodtoeat highly encouraged and may win you brownie points. *Sad Desk Lunch Contest Rules: Must live or work in NYC to win lunch and cupcakes. Value of lunch is maximum of $20 from www.foodtoeat.com. Contest runs from 7/14/2014 through 8/15/2014. One winner will be selected and announced shortly after contest end date.